One of the most important ways to engage leaders as they grow is to focus on emotional intelligence (EQ). Recent management literature is replete with evidence of its impact, and it is my belief that we can significantly increase our EQ capacity with feedback, awareness, and practice. As an executive coach, I work with a variety of instruments that assess EQ, and I have noticed a trend in the results of some nurse leaders and managers. Their data suggest that they focus more on other people than on themselves, even though experts consider it “ideal” to focus on ourselves and on others in equal measure. 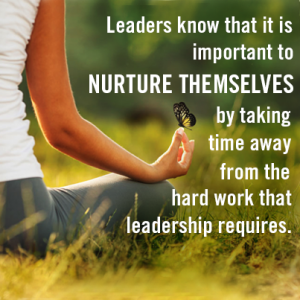 • Other-focused leaders may be out of touch with themselves, what they believe is most important, and the personal and professional values that could give them inspiration and ballast. Anchoring our stewardship in self-awareness gives us the clarity, courage, and strength we need to lead well on a daily basis, as I indicate in my new book, Leading Valiantly in Healthcare. • An even bigger consequence is that when we are leading and managing others, they rely on our direction, our judgment, and our lucidity. If we are not tuned into ourselves, it can be difficult to communicate convincingly and provide the clarity others need to do well. Here are some of the behaviors and attitudes that may indicate that we are focusing more on other people than on ourselves. Note that many of us behave in these ways occasionally. The consideration here is whether we feel or behave in these ways on a regular basis, regardless of the specifics of the situation. • We pay more attention to others’ wants and needs than to our own. • Often, we do not know our own wants and needs. • We put ourselves last. • We don’t have firm personal and/or professional boundaries. This can lead to over-functioning such as finishing others’ work for them, not holding others accountable, or both. • We view what other people say, feel, or think as more important than what we say, feel, and think. • We inflate our own value. This may not look like we’re paying more attention to others, but it’s possible that we may be “competing” with them in our own minds, even when the context does not call for us to be competitive. • We convey disproportionate anger or frustration that is surprising to others. They may not be expecting such an outsized reaction from us because, previously, we have not expressed our feelings. Perhaps we don’t know we are angry until our feelings boil over. • We are excessively loyal to a boss, even when our weekends, evenings, early mornings, or vacations are frequently interrupted by the boss’ needs and requests. • We have difficulty saying no. • We want and/or insist that others agree with us because we need their approval. Their opinion of us is more important than our opinion of ourselves. None of these examples is taken from a textbook. Although they may seem harsh and overdrawn, these are real-life scenarios inspired by real nurse leaders and managers. If you relate to any of these, and you are concerned about your ability to shift gears and focus on yourself more often, here’s what you can do. Stop and check in with what you are thinking, feeling, and wanting. For many of us, this can take a concerted effort, but with practice, we can become more aware of ourselves in any given moment in the day. It may help to remember that getting in touch with these basic aspects of yourself does not mean that you must act on this knowledge. One benefit of self-awareness is that you have more information—and you can decide to act on it or not act on it. Either way, you will make better choices as you engage in your work. Acknowledge yourself and your abilities frequently. Be aware of your capabilities and skills, access them when needed, and experience the appropriate level of ownership for the competence you have developed. Review your day at the end of it; remember and acknowledge yourself for what went well. Recall what didn’t go well, too, and think about how to avoid that outcome in the future. Consider whether greater self-focus would have helped. Breathe. Breathe again. It’s easy to lose focus on ourselves, especially when we are challenged. Breathing returns us to our bodies. Be mindful of your role in a given situation. If it is to be the “doer,” then by all means, get the work done. However, if your job is to oversee other people as they do the job, don’t relinquish your role and take on theirs. Unless it is an emergency, consider whether your obligation is to supervise, coach, mentor, or precept. 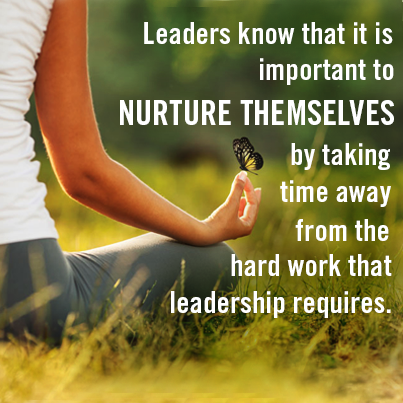 If it is, your colleagues will not learn if you forsake your role and do their work for them. Get feedback from trusted others. Do they see you as a strong leader or manager? If so, find out what they see as your strengths. If it’s a mixed picture, find out how you can be more effective, and notice whether more self-awareness will help. Finally, catch yourself in the act of being more aware of others and less aware of yourself. When you find that you are focused outside yourself instead of relying on—or at least recognizing— your own thoughts, feelings, and wants, stop and redirect your attention. This may feel awkward at first, but it will probably not be noticeable to others. As you practice, it will become easier. Eventually, you can develop a seamless way of shifting your focus back and forth between what’s happening around you and your internal experience. As you become more tuned into yourself, you will bring the benefits of your increased self-awareness to your leadership roles, your coworkers and yourself. This entry was posted in Blog and tagged Focus, Habits, Healthcare, Leader, Leaders, Leadership, Management, Manager, Nurse, Nursing. Bookmark the permalink.